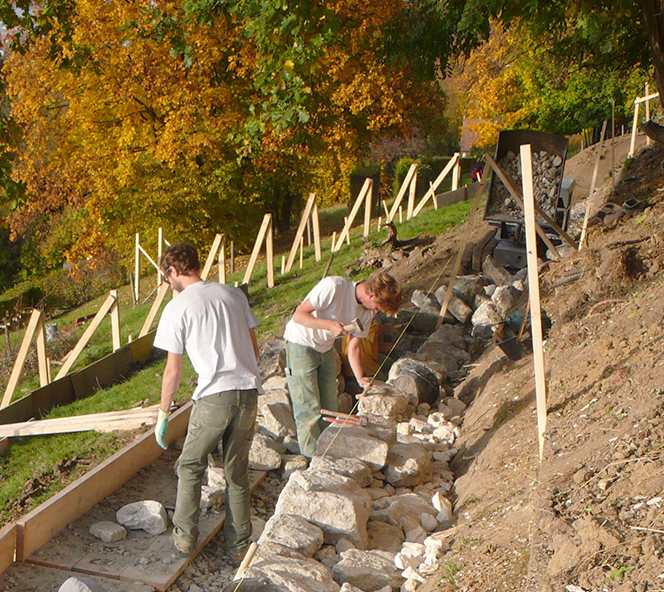 Founded in 2004, Stoneworks Lippert specialises in the creation of dry stone structures: retaining walls, separation walls, paving and tiling, and the restoration and maintenance of natural stone masonry and historic monuments. Our services extend from the research and choice of raw materials to the construction and completion of the finished product. We mainly work with the traditional techniques of dry stone masonry, without using binding agents, respecting man, nature and landscapes. Our business is present throughout Switzerland as well as in neighbouring countries. 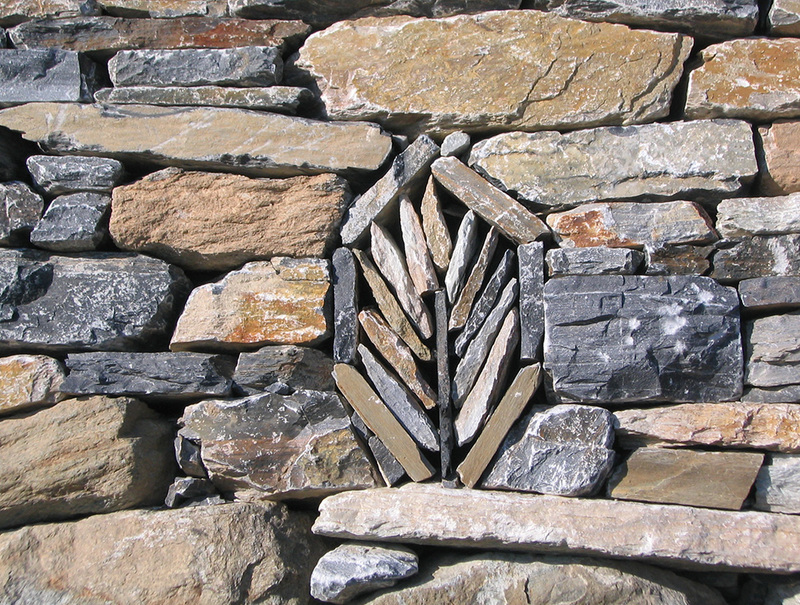 Stoneworks Lippert SARL is a member of the Swiss Federation of Dry Stone Masons. As such, we contribute to the promotion and recognition of this expertise. In September 2014, our company celebrated its 10th year of business. 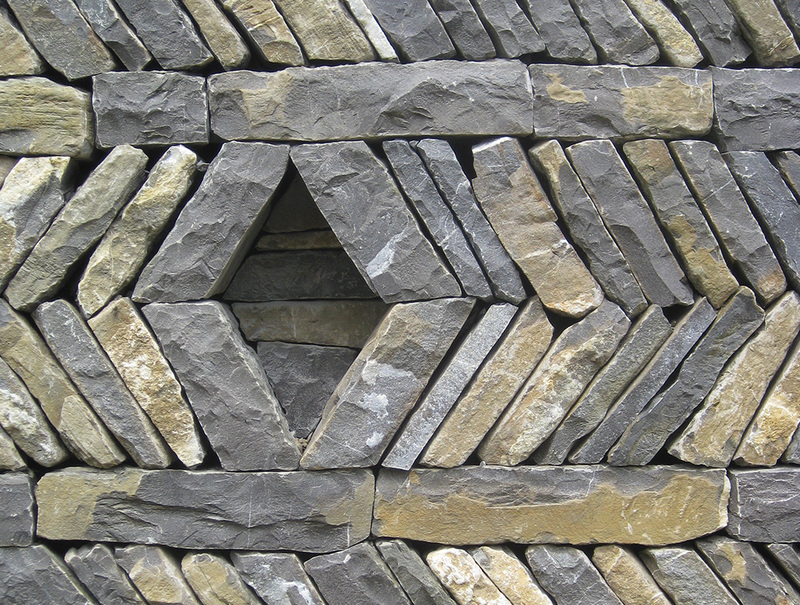 Dry stone masonry requires extensive know-how in the choice and quality of the materials, the cut, adjustments or the interlocking of each stone. To do this, our company relies on the commitment of qualified collaborators. Most of them have been trained in dry stone masonry techniques within the company and have the professionalism necessary to finish complex jobs in the pure tradition of natural stone construction. This allows us to mobilise an extensive team on major worksites. The expertise and the techniques involved in dry stone masonry date back to ancient times and have developed over many generations. At its origins, the profession was concerned with the longevity of the work, the preservation of man and the environment, the desire to integrate the work with the surrounding landscape using local and regional resources. It is with these same values that Stoneworks Lippert works today: durability of the work – respect for the original raw materials – respect for the landscape and the environment. In our work we privilege the use of local and regional stone. We take care of our collaborators by designing a work schedule that is healthy and sustainable. Finally, we believe that human relations are very important, including values of honesty and trust.